Consultant Editor Nick Pigott tells the little-known story of British circus trains – almost certainly the most colourful and unusual workings to grace the network on a regular basis. MANY readers will have fond childhood memories of travelling circuses, with clowns, acrobats and exotic animals producing thrilling performances beneath a colourful ‘big-top’. However, for rail enthusiasts, an equally exciting time was to be had down at the local goods yard as the gaudily painted wagons arrived and began disgorging their amazing loads of elephants, camels, lions, tigers and zebras. The beasts would then be taken through the streets to wherever the circus was being staged and, a day or two later, return to the station for transfer to the next town or city on the itinerary. 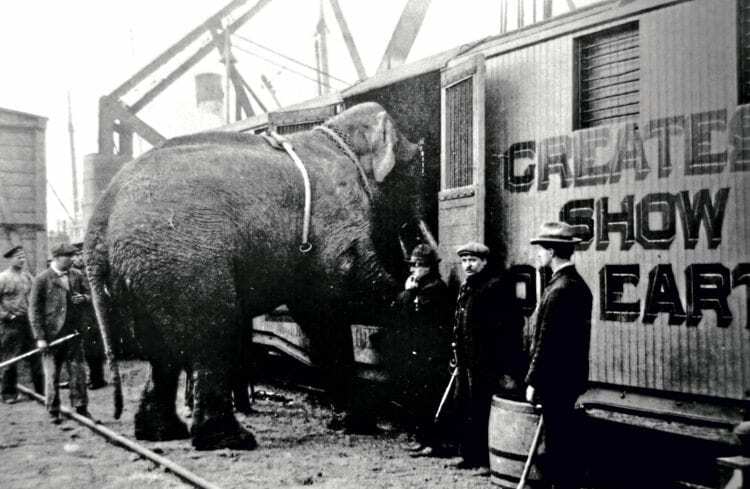 Two of the three Barnum & Bailey elephant cars had to have well floors to accommodate the tallest jumbos, as seen in this extraordinary loading scene. It was a spectacle that took place up and down the country every summer in peacetime from the early-1930s to the 1960s – and also during the late-19th century and early-1900s – yet because most circus trains travelled by night, there are very few photographs of them en route, and relatively little is known about them compared with other forms of rail transport. The story begins in 1887 when Buffalo Bill’s Wild West Show – run by the famous American Civil War character Colonel William Cody – came from the United States to Britain to take part in Queen Victoria’s golden jubilee celebrations. His troupe staged a number of performances in London, Birmingham, Manchester and Hull before leaving the UK from the latter city’s docks in May 1888. Because road transport at the time wasn’t sufficiently advanced, the only feasible way to move the show’s animals, artistes and equipment around the country was on the rail network. Three trains were used: one for equipment, one for personnel and one for the creatures… buffalos, elks, mustangs and ‘bucking broncos’. Three years later, Cody’s extravaganza returned to England as part of a European tour, this time docking in Grimsby and being conveyed to Leeds for its first engagement in a trio of Manchester, Sheffield & Lincolnshire Railway trains. 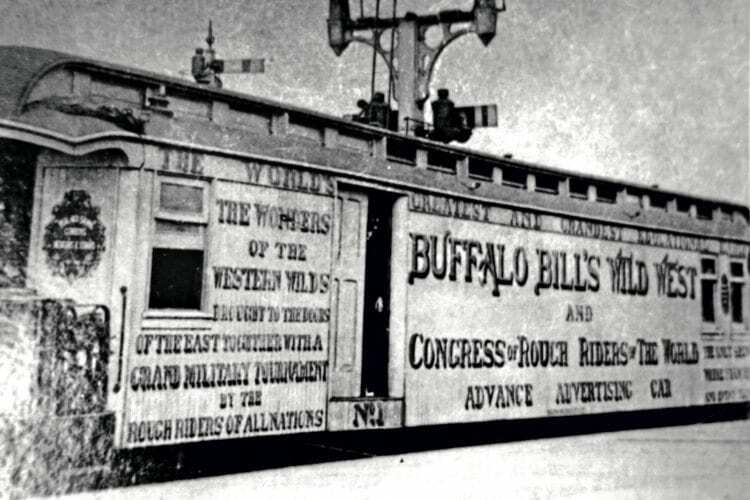 Because the size of Buffalo Bill’s animals meant they could be accommodated in rolling stock supplied by the pre-Grouping companies, there was no problem with such transport, but when the American circus troupe of Barnum & Bailey decided to ship its ‘Greatest Show on Earth’ to Britain in 1897, a major rethink was required.